In the fairy tale “The Twelve Dancing Princesses” a king offers a reward to the man who can solve a mystery involving his daughters: though they sleep alone in a locked room every night, the worn soles of their shoes suggest they’ve been having adventures in the outside world. Aided by a witch, a lowly soldier finds the answer, marries the eldest daughter and becomes king (He wisely refuses to drink a sleeping potion and follows the sisters to a castle, where he witnesses them dancing with twelve princes until dawn). I am always excited when an author revisits a less well-known tale, and Genevieve Valentine’s The Girls at the Kingfisher Club brings this story into the Roaring Twenties, with its smoky speakeasies and shifting social mores. The Hamilton sisters are twelve individual disappointments to their father, who has always wanted a son. 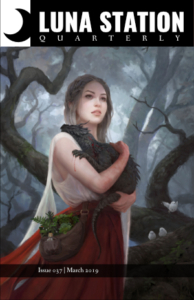 Their mother, so viciously dominated by their father that she has very little presence in the household, dies early on, and everything comes to depend on the eldest sister, Jo. Jo orchestrates the sisters’ secret nighttime voyages to the bars of Manhattan, where they can experience the outside world, and she is the one who must stand up to their father when he tries to marry them off. Only on the dance floor do these young women finally begin to live. The stakes are turned up when their father discovers, after inviting several prospective “princes” into the household, how his daughters have been spending their nights. 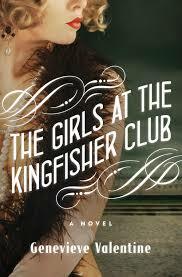 The Girls at the Kingfisher Club is essentially an examination of the motif of the maiden in the tower. This figure dates back to ancient Greek mythology and has recurred throughout the centuries in various national literatures, according to Kate Forsyth in The Rebirth of Rapunzel: A Mythic Biography of the Maiden in the Tower. Often these maidens are controlled by a patriarchal figure, one who is frightened of their power, yet at the same time they are portrayed as passive. Genevieve Valentine offers us twelve sisters, led by the eldest, who must get out of a tower that is more than metaphorical. But instead of relying on a prince or magic, they draw on a combination of courage and community connection to change their lives. What are Jo and her sisters actually doing? Over the course of their lives, and especially after their escape, they are learning to be financially independent. Several of the sisters go to work, either as seamstresses or stenographers, or, in the case of the three most adventurous, Hollywood actresses. Jo herself becomes a hostess at a bar. What they are doing on a nightly basis, however, in addition to dancing, is soaking up the atmosphere of the time in which they live. Talking to men. Learning how to be safe in the world. Becoming the kind of women who are comfortable in the city at night–and I don’t mean prostitutes. They are staking their claim to the same public life that is granted without question to their male counterparts. Valentine demonstrates that confinement can be cognitive or emotional as well as physical. The sisters’ attic rooms are both physically drab and feel stuck in time: the space itself keeps these women under an age-old patriarchal spell and deprives them of agency. Refusing to educate women or teach them a trade freezes them in a childlike state; there is no terror like that of a penniless woman in a capitalist society. When Jo and her sisters flee the family house, they put themselves in financial peril and physical danger. Their flight is an act of self-preservation, however, for when their father discovers their nightly misdeeds, he threatens them with that other famous site of female confinement, the insane asylum (His claim that he can commit them on the basis of something called “hysterical alcoholism” would be amusing if it didn’t demonstrate his lethal misogyny). This fairy-tale novel, told in a realistic mode and set in the progressive 1920s, should continue to please a wide audience.